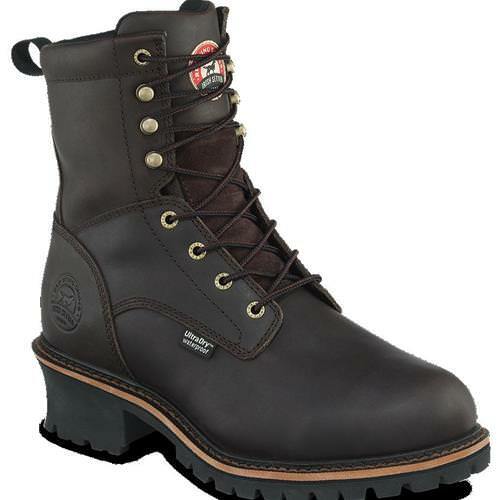 Our Logger style boot is a rugged and durable classic, identified by the defined heel, lug sole and formidable design. Rich, soft to the touch, high-oil content leather and Goodyear welt construction with contrast stitching mark this boot as a product of premium quality. The 83809 also features UltraDry waterproofing, Thinsulate insulation, and the aggressive Stars & Bars Logger sole in order to tackle any terrain. Available in Medium (D) width only!